Eco friendly corn pen. 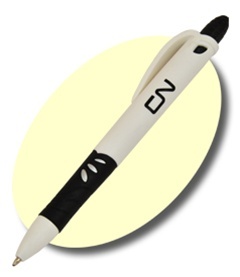 Fully recyclable push action pen with corn starch barrel and plunger. Matching conform grip. Made of 100% recycled organic material.